This is Volume 1 of a 6 Volume set. 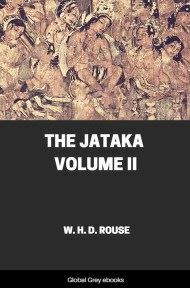 The Jataka is a massive collection of Buddhist folklore about previous incarnations of the Buddha, both in human and animal form. Dating to at least 380 BCE. [95.] This discourse regarding Truth was delivered by the Blessed One, while he was dwelling in the Great Monastery at Jetavana near Sāvatthi. But who, you ask, was it that led up to this tale? Well; it was the Treasurer's five hundred friends, disciples of the sophists . For, one day Anātha-piṇḍika the Treasurer, took his friends the five hundred disciples of other schools, and went off with them to Jetavana, whither also he had a great store brought of garlands, perfumes, and unguents, together with oil, honey, molasses, cloths, and cloaks. After due salutation to the Blessed One, he made his offering to him of the garlands and the like, and handed over to the Order of the Brethren the medicinal oil and so forth together with the cloths; and, this done, he took his seat on one side eschewing the six faults in sitting down. Likewise, those disciples of other schools saluted the Buddha, and took their seats close by the side of Anātha-piṇḍika,--gazing upon the Master's countenance, glorious as the full moon, upon his excellent presence endowed with the signs and marks of Buddhahood and encompassed to a fathom's length with light, and upon the rich glory that marks a Buddha, a glory which issued as it were in paired garlands, pair upon pair. Then, though in thunderous tones as of a young lion roaring in the Red Valley or as of a storm-cloud in the rainy season, bringing down as it were the Ganges of the Heavens . and seeming to weave a chaplet of jewels,--yet in a voice of eightfold perfection, the charm of which ravished the ear, he preached to them the Truth in a discourse full of sweetness and bright with varied beauty. 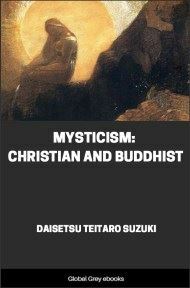 They, after hearing the Master's discourse, rose up with hearts converted, and with due salutation to the Lord of Knowledge, burst asunder the other doctrines in which they had taken refuge, and betook themselves to the Buddha as their refuge. Thenceforth without ceasing they used to go with Anātha-piṇḍika, carrying in their hands perfumes and garlands and the like, to hear the Truth in the Monastery; and they abounded in charity, kept the Commandments, and kept the weekly fast-day. Now the Blessed One went from Sāvatthi back to Rājagaha again. 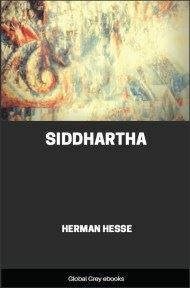 As soon as the Buddha had gone, they burst asunder their new faith, and returning to the other doctrines as their refuge, reverted to their original state. After some seven or eight months' stay, the Blessed One came back to Jetavana. Once again too did Anātha-piṇḍika come with those friends of his to the Master, make his salutation and offering of perfumes and the like, and take his seat on one side. And the friends also saluted the Blessed One and took their seats in like manner. Then did Anātha-piṇḍika tell the Blessed One how, when the Buddha had departed on his alms-pilgrimage, his friends had forsaken their refuge for the old doctrines again, and had reverted to their original state. Opening the lotus of his mouth, as though it were a casket of jewels, scented with scents divine and filled with divers perfumes by virtue of his having ever spoken aright throughout myriad æons, the Blessed One made his sweet voice come forth, as he enquired:--"Is the report true that you, disciples, have forsaken the Three Refuges for the refuge of other doctrines?" And when they, unable to conceal the fact, had confessed, saying, "It is true, Blessed One," then said the Master, "Disciples, not between the bounds of hell below and the highest heaven above, not in all the infinite worlds that stretch right and left, is there the equal, much less the superior, of a Buddha in the excellences which spring from obeying the Commandments and from other virtuous conduct." Then he declared to them the excellences of the Three Gems as they are revealed in the sacred texts, the following amongst the number,--"Of all creatures, Brethren, whether footless &c., of these the Buddha is the chief"; "Whatsoever riches there be in this or in other worlds &c."; and "Verily the chief of the faithful &c." Thence he went on to say:--"No disciples, male or female, who seek refuge in the Three Gems that are endowed with such peerless excellences, are ever reborn into hell and the like states; but, released from all rebirth into states of suffering, they pass to the Realm of Devas and there receive great glory. Therefore, in forsaking such a refuge for that offered by other doctrines, you have gone astray." A Deva-form these faithful ones shall fill .